John “Jay” Luke, III, MD, RPVI, FACS, is a board-certified vascular surgeon treating patients in the Lafayette, Louisiana, community at the Vein Center of Louisiana. 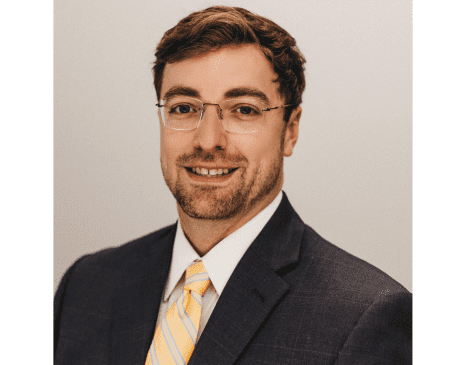 A Louisiana native, Dr. Luke grew up in the town of Lecompte before receiving his undergraduate degree in microbiology at Louisiana State University. He then enrolled at the Louisiana State University School of Medicine, where he earned his Doctor of Medicine degree. Interested in surgery, Dr. Luke pursued further training with a general surgery residency at Ochsner Clinic in New Orleans. He then moved to Birmingham, Alabama, to start a vascular surgery fellowship at the prestigious University of Alabama at Birmingham School of Medicine. It was there that he trained in the most advanced techniques to treat complex venous disease. With a passion for vascular surgery, Dr. Luke has extensive experience in the diagnosis and treatment of vascular diseases like carotid disease, peripheral arterial disease, aneurysms, and hemodialysis access. Board-certified in both general surgery and vascular surgery, Dr. Luke is a member of the Gulf Coast Vascular Society, the Lafayette Parish Medical Society, as well as a candidate member of the Society for Vascular Surgery and the Vascular & Endovascular Surgery Society. Outside of work, Dr. Luke enjoys spending time with his family, physician wife Dr. Lauren Fletcher Luke, their two daughters, and a newborn son.